MDC formations and civic groups have welcomed the appointment of Justice Priscilla Chigumba as Zimbabwe Election Commission (ZEC) chairperson, saying she has the attributes and qualifications required for the job. 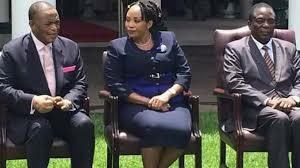 Justice Chigumba was sworn into office by President Mnangagwa on Thursday. MDC-T spokesperson Mr Obert Gutu said Justice Chigumba had a strong personality. The Welshman Ncube-led MDC welcomed Justice Chigumba’s appointment. “As the MDC, we welcome the new ZEC chairperson who is a distinguished lawyer and brings a wealth of experience as a judge. A lot is expected of her because she has a huge task of delivering credible, free and fair elections,” the party’s spokesperson Mr Kurauone Chihwayi said. The Zimbabwe Elections Support Network an umbrella body of NGO’s called upon Justice Chigumba to ensure free and fair elections. “ZESN notes the appointment of Justice Priscilla Chigumba as the new chairperson of the ZEC. ZESN calls upon the newly appointed Chairperson to spearhead the requisite legislative and administrative reforms to ensure that the 2018 elections are, free, fair and credible,” ZESN said in the statement. “As head of the electoral commission, Justice Chigumba must strive to safeguard and protect the independence of ZEC by ensuring that principles of good electoral management such as transparency, integrity, professionalism, competence and fairness are upheld.